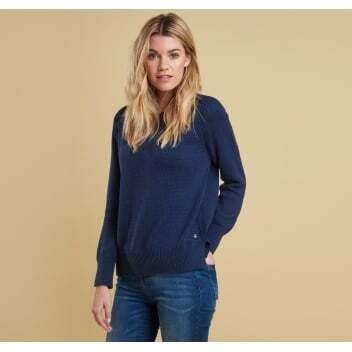 This lovely knit is just what you want to wear on casual days when there's nothing to do but please yourself. Crafted from medium gauge cotton, this plain knit features a 1x1 rib detail and a Barbour Beacon sew-on dist above the hem rib. Simply throw on over jeans or chinos and head off on your adventure, safe in the knowledge that you will always be stylish.